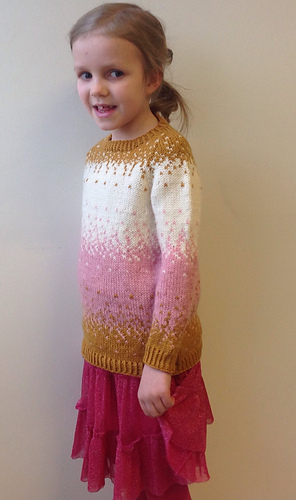 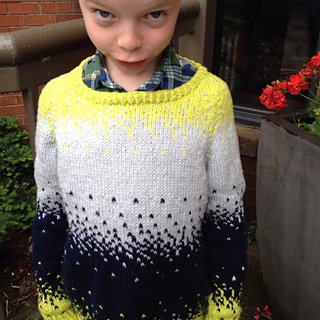 This children’s sweater demands center stage with a stranded pixelated pattern exploding from shoulder to hem. 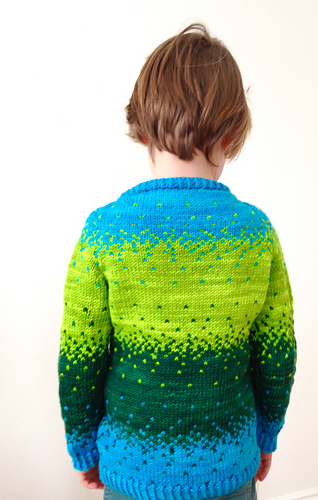 Worked seamlessly from the top-down, it is sure to be a crowd pleaser. 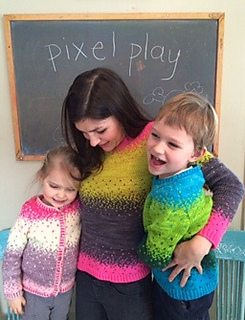 This pattern is included as part of the Pixelated Sweater Collection ebook with Pixelated Pullover and Sugar Plum Cardigan. 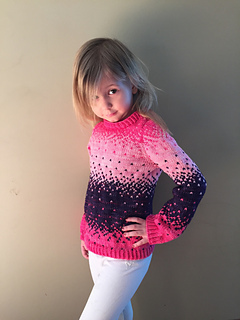 If you have previously purchased one of these patterns, receive a discounted price on the collection, by using the codes “Pixelated” for a previous purchase of Pixelated Pullover (receive 50% off the collection) or “Little Pixels” for a previous purchase of the two other children’s patterns (receive 55% off) or “Little One” (Little Pixels) or “Sugar Plum” (Sugar Plum Cardigan) for a previous purchase of just one of the children’s sweaters for 40% off the collection. 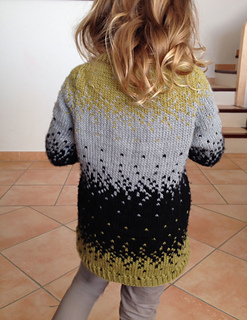 20 sts and 24 rows = 4”/ 10cm in stockinette, and in stranded stockinette on larger needles after blocking. 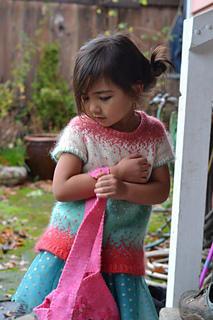 To ensure proper fit, please take time to check gauge in stockinette and in colorwork pattern. 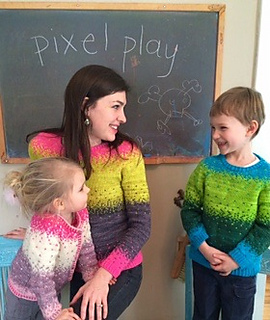 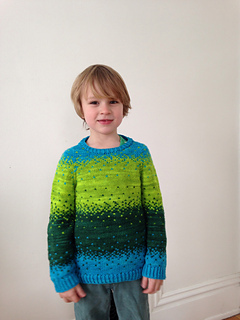 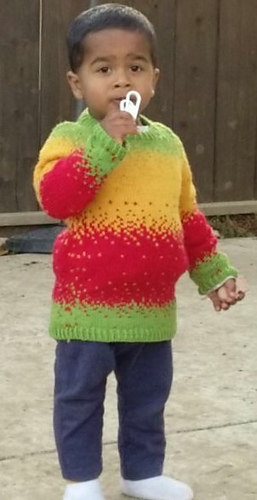 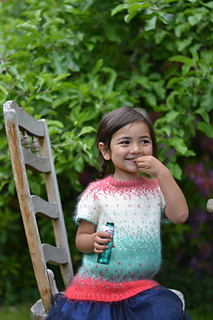 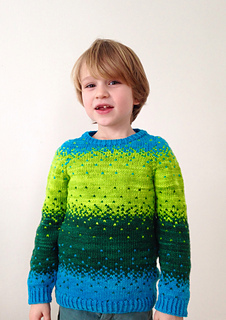 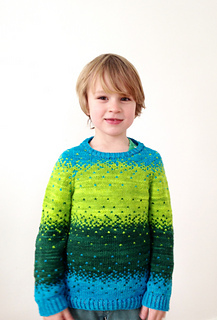 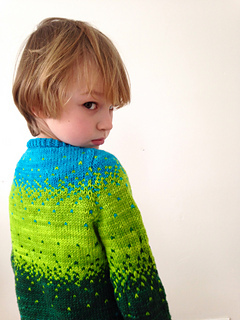 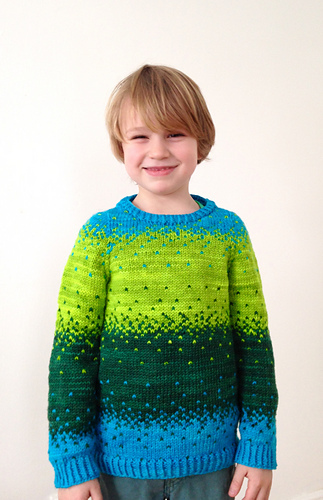 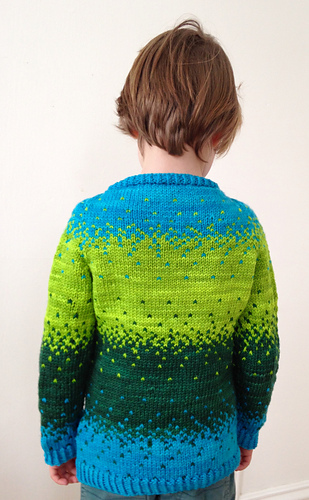 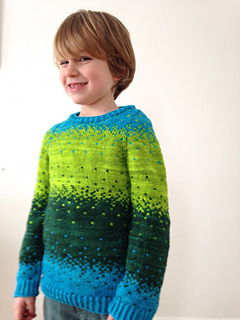 Pixel Play Pullover is a colorful stranded sweater for children. 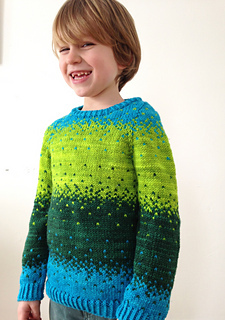 It is worked from the top down using the contiguous set-in-sleeve method developed by Susie Myers (SusieM on Ravelry). 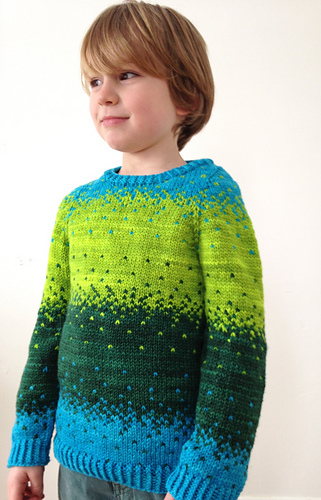 It is mostly knit in the round. 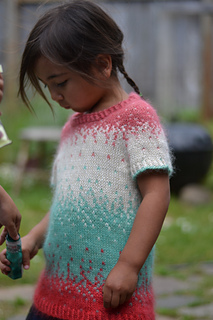 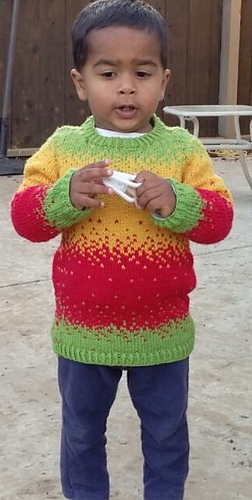 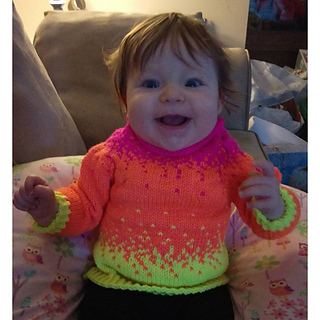 The baby version of the sweater (sizes 3 mo to 12 mo) will only have two chart repeats worked. 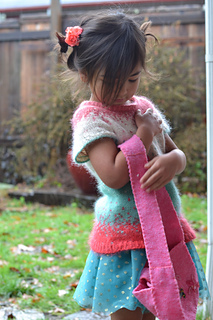 The sleeves will be solid and worked in Color 2. 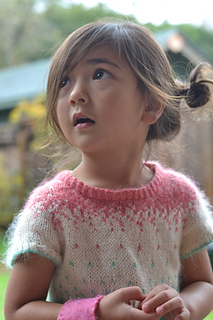 The baby sweater’s neckline is finished with a stretchy rolled hem. 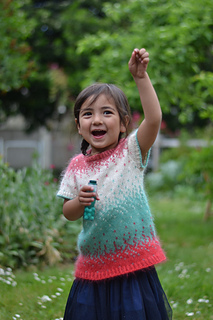 Technical editing by Chaitanya Muralidhara.